Decades since the initial establishment of zebra mussels (Dreissena polymorpha) in North America, understanding and controlling the invasion of aquatic ecosystems continues to be a problem in continent-wide conservation and landscape management. 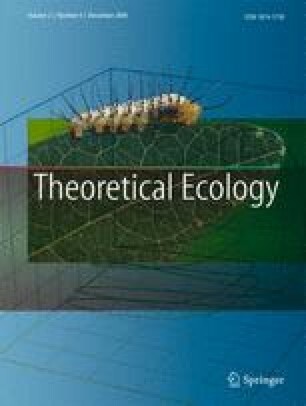 While the high economic and conservation burden of this species makes accurate predictions of future invasions a research priority, forecasting is confounded by limited data, tenuous model assumptions, and the stochasticity of the invasion process. Using a new method for niche identification, we profiled invasion vulnerability for 1,017 lakes in the Great Lakes region of the Unites States. We used a nonparametric geoadditive regression model to test for effects of two water quality variables on the present distribution of zebra mussels. We then used the support vector data description (SVDD), a support vector machine for one-class classification, to estimate the boundary of the ecological niche. By disentangling niche estimation from distributional assumptions, computational niche models could be used to test an array of fundamental concepts in ecology and evolution, while species invasions forecasting is representative of the wide range of potential applications for niche identification in conservation and management. This research was conducted while JMD was a postdoctoral fellow at the National Center for Ecological Analysis and Synthesis (Santa Barbara, California, USA). Additional support came from the University of Toledo, Department of Environmental Sciences and Lake Erie Center (to JMB) and the University of Georgia, Odum School of Ecology (to JMD). We thank D. Strayer and T. Peterson for comments on an earlier version of this paper and A. Silletti for comments and assistance preparing the manuscript. This is publication No. 2009-07 from the University of Toledo Lake Erie Center. The file “appendix.csv” contains locations of 1,017 lakes screened for vulnerability to invasion by zebra mussels. Overall, 645 out of 1,107 (63.4%) lakes were vulnerable at the ε = 0.025 level, 592 out of 1,107 (58.2%) lakes were vulnerable at the ε = 0.05 level, and 514 out of 1,107 (50.5%) lakes were vulnerable at the ε = 0.08 level. Columns are longitude, latitude, state name, county name, lake name, vulnerable (1/0) at the ε = 0.025 level, vulnerable (1/0) at the ε = 0.05 level, and vulnerable (1/0) at the ε = 0.08 level.